Directnic acquires Fabulous.com but brands will remain separate. 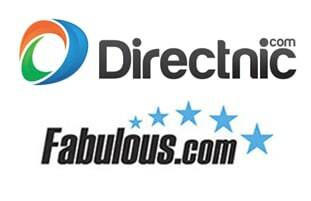 Domain name registrar consolidation continues as Directnic has acquired Fabulous.com from Dark Blue Sea Pty, the companies announced today. Mike Robertson, Directnic Director of Business Development, will now help manage a portfolio and business he worked for nine years prior to joining Directnic. The businesses will continue to be operated as separate brands, with Directnic focused on business customers and Fabulous.com on domain name investors. But Robertson says Fabulous will be improved. Good news for Fabulous customers who’ve been looking at the same vintage website for the past decade. Vintage or not it works. Best registrar there is in my opinion. I hope that they do NOT make changes to the layout, just tweak it so that don’t need to spend a week learning where everything has moved to. i thought directnic was a dead registrar just living off old accounts. i’ve been transferring my domains out of fabulous and moving them to uniregistry for a few months now. @JZ is not dead register http://www.Directnic.com and I have several domain names with them, Read that the King of the Domain had registered their domain names with Directnic.com and Rick being an old account is even more interesting. Fabulous has been my registrar of choice since over a decade ago. Even now I consider Fab one of the easiest registrars to use. So I’m really thrilled to hear improvements will be made. One area in particular would be parking and possibly mini site creation tools. First of all, how many domain awards has Mikey won? The guy is one of the best guys to work with in the domain industry, and I’ve been with Fabulous for over a decade. All my domains are there, or being transferred to them. I also love their current interface, maybe a tweak or two, but Fabulous by far is the best customer service, best for domain investors, and best price for services. Way to go, Mikey.